In 1979, tensions between Iran and the United States reached a boil after Ayatollah Khomeini called for a return of his predecessor—Shah Pahlavi—in order to try him in what would be a kangaroo court whether or not deserved. Allowed passage into the US to attend the Mayo clinic and combat his cancer, the fact we were housing him infuriated a group of Islamist students and militant followers of the Imam’s Line to the point of storming the American embassy in Tehran and taking the 52 diplomats there hostage. An ordeal that lasted 444 days while President Jimmy Carter and the terrorists engaged in a heated standoff and a failed rescue mission, the men and women were finally freed minutes after Ronald Reagan was sworn into office. It’s the type of story primed for a film adaptation. Well, maybe not as perfect as the unorthodox covert operation that unfolded alongside it in 1980. You see the truth is that more people were in the embassy on November 4th and they escaped out the only door of the compound leading directly to the street. Seeking asylum with the Canadian consulate, these men and women found themselves biding time for 79 days in the hopes the Iranian sweat shop children hard at work piecing together shredded employee documents wouldn’t discover their hostage numbers were incomplete. What’s really interesting, however, isn’t that they got out, but instead how the CIA decided to extract them from the country. With the winter climate and dangerous tensions not allowing for agricultural or educational credentials to be credibly issued, a little outside-the-box thinking was necessary. They were to become a film crew. 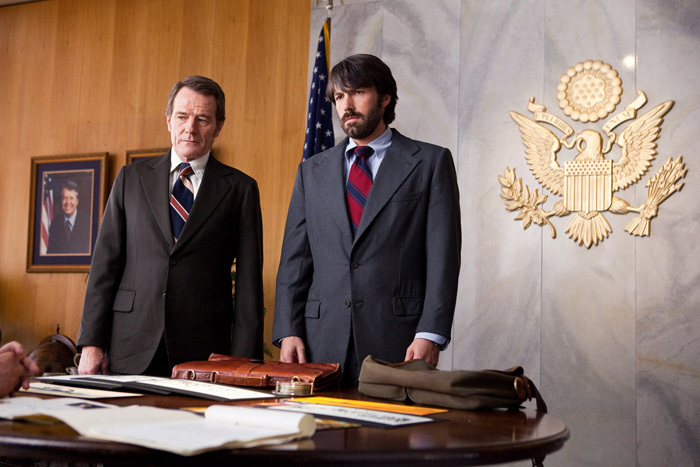 This is the premise to Ben Affleck‘s newest foray behind the camera, Argo. Named after the fake film used as the cover story CIA exfiltration expert Tony Mendez (Affleck) hatches up, we’re introduced to a brief history lesson concerning political climate before entering the fray. Written by Chris Terrio from a 2007 Wired article by Joshuah Bearman, the story retains the suspense of this insane idea while combining aspects and leaving details out like these stories are wont to do. Putting six refugees inside Canadian Ambassador Ken Taylor’s (Victor Garber) house allows for a central location and a nice dynamic to grow between them against their would-be savior. A matter of who has the best bad idea, getting a bunch of scared Foreign Service workers to wrap their heads around pretending to be Hollywood types with a gun against their head isn’t an easy sell. A lot goes on during the course of the film and it can get frustrating when characters are glossed over despite recognizable faces. Actors like Kyle Chandler, Zeljko Ivanek, and Titus Welliver make it seem like the White House will play a large role and yet completely disappear. Even Affleck’s lead has some unanswered nuance when introduced with what I inferred as a lack of departmental respect or an earned distrust by his superiors for lackluster results before throwing it all out the window when readying for work as though he just did another extraction yesterday. Small plot points do come from him having a son and broken home—the boy watching Battle for the Planet of the Apes is the impetus for the faux film idea—but the need to show his emotional turmoil isn’t necessary to bolster a “leave no man behind” mentality. Where the film really soars is in the rescue process. The acerbic wit of producer Lester Siegel (Alan Arkin) and Oscar-winning make-up artist John Chambers (John Goodman) highlights a meticulously constructed 1979 world as they go about creating a real fake movie. Between buying the option on a script, throwing a launch party with posters and actors in costumes, and teaching Mendez the ropes of the business, they have no problem mocking the industry or themselves. It’s a different behind the scenes viewpoint because of what is at stake and yet the tone remains light and entertaining for the duration until Affleck finally leaves for Iran to put the plan in motion. And even then it’s fun to watch him teach the Americans Canadian pronunciations—”Tor-on-o”—along with which end of a camera’s viewfinder is the front. 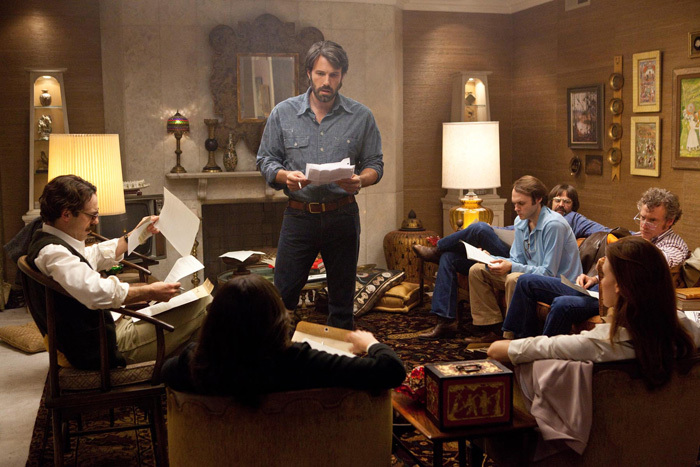 Clea Duvall, Christopher Denham, Scoot McNairy, Kerry Bishé, Rory Cochrane, and Tate Donovan perfectly portray the six diplomats as tensions rise and differing opinions about whether to stay or go crop up. 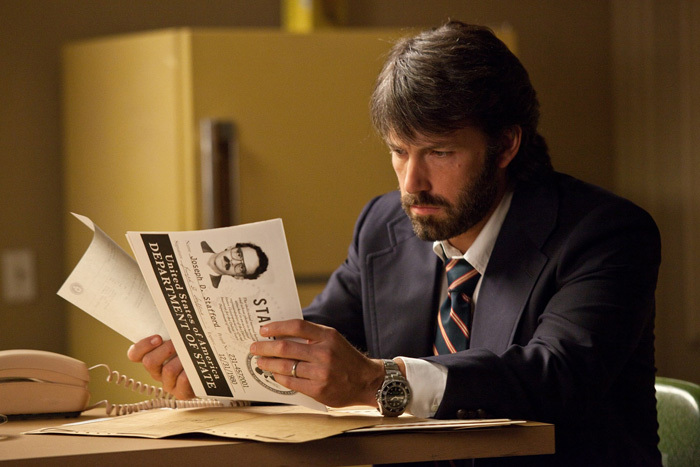 Being a movie, Affleck allows the audience to be privy to the ever-evolving knowledge on behalf of Iranians and their closing in on the truth as he adds more suspense with unexpected wrinkles on behalf of Mendez’s boss Jack O’Donnell (Bryan Cranston) and the film commission’s skepticism towards any Western nation wanting to shoot a film at such a volatile time. It all culminates in a tense climactic sequence that could truly go either way if unaware of how the real-life story concludes. Maybe a bit too manipulative on paper, the performances by all—but especially McNairy at the end—let us forget any and all contrivance. A solid take on an improbable event in American history, I didn’t initially feel Affleck was the right guy for the job. I absolutely love Gone Baby Gone and think The Town was one of 2010’s best, but their very dour depictions of life’s tough choices are far from the dramatic yet very funny tale being told in Argo. Rather than fold under the task, however, the director proves he has the range and ability to make an indelible mark on Hollywood where his acting career never could. Precise in his details—the clothes, hair, excess of the film community, and a great Battlestar Galactica cameo—this film is a document of the time as much as a captivating story of true unsung American heroes. Luckily for us President Clinton declassified the facts in 1997 and gave the men and women involved the credit they deserved. 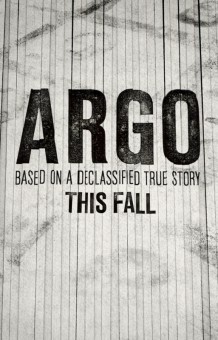 Argo screened at TIFF and opens on October 12th.